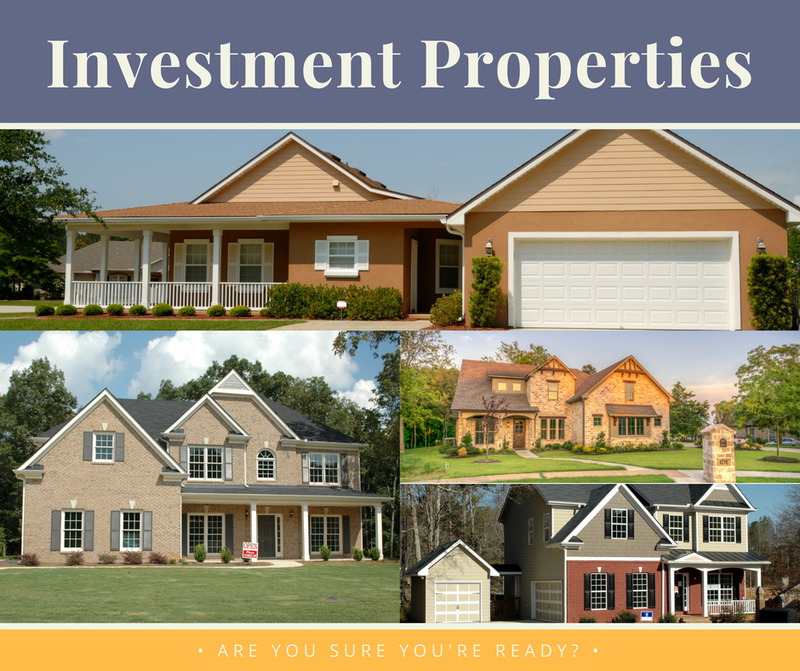 Are You Ready to Purchase an Investment Property? With the greater Richmond Hill and Savannah areas being prominent in rental properties, considering purchasing an investment property is a natural step. But how do you know if you’re ready to make that big leap? It’s important to remain open-minded and consider all of your options before making a decision. Nothing about the process should be done quickly and without thought. Don’t let HGTV shows that capitalize on buying the house that’s in the most desperate need of repair and turning them into dream homes fool you. It’s vital that you understand the risks and process involved in investing in a rental property and be prepared. With that being said, don’t narrow your search to strictly houses that are on the market for super cheap with the intention of doing an all-out overhaul. According to investor and mortgage broker Dean Wegner, “Take your time since you’re going to be married to this property for five or 10 years or more for the investment to pay off.” The best plan of action for rental properties is to hold onto them (while renting, of course). Perhaps one of the biggest and most important parts of the investment process (and rightfully so) is the financial aspect. Costs to keep in mind when examining your financial situation include: purchasing price (and the costs included) and your financing plan, property tax, insurance, maintenance costs. These prices vary according to location and the property. When you’re ready to research potential properties, figure out the area in which you’ll be looking. It’s usually smartest to look in areas that you’re familiar with. Some factors to consider when looking include: high growth areas, rental yield (“areas where rents are high compared to the property value”), low vacancy rate (so people are staying in the area longer, which means a higher retention rate for property owners), and any future planning that the area has in mind (they may or may not affect property prices). As we’ve already established, avoid any major fixer uppers. Look for properties that have attractive features (such as master downstairs, the number of beds/bathrooms, the distance to town, etc. ); wide appeal (the property could attract more than one type of person, which increases the number of people who would be interested in renting); and a low maintenance level to help keep costs down. With all of this new information floating around in your head, remember that you don’t (and perhaps shouldn’t) go out on this significant venture alone. Working alongside a real estate agent has plenty of pros that you should consider. We provide property management services to our clients that amount to less stress for the property owner. Not only do we work with contractors who we have an established work relationship with, but we also handle all the tenant applications and help your investment property have higher retention rates. If you’re ready to work together or you just have a few questions, give Maureen Bryant a call!